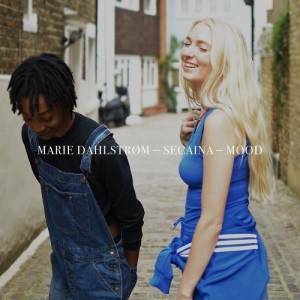 Woah, it's been a while I've featured some seductive and upbeat r&b soundwaves, but the new Marie Dahlstrøm track couldn't be missed. The vibe is outrageously awesome. The Danish-born, London-based artist teams up with Secaina and continues to showcase her organic take on contemporary alt r&b. We've been following Marie for a while now and I think she's one of the people who really push forward the contemporary r&b sound. I love her jazz influences, although "Mood" definitely goes into more seductive side of things. Her choice to invite Secaina is spot-on. A self-taught innovative artist who essentially writes, produces, sings and records all of her music herself. This fire comes with a video, which you can watch below. Enjoy!